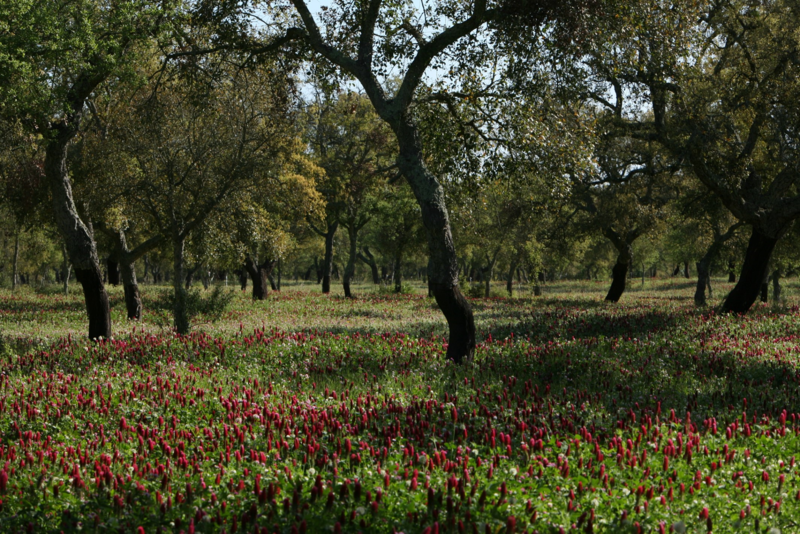 The "montado" is a unique agro-forestry ecosystem found only in the Mediterranean region. It is a savannah-like woodland of cork/holm oaks and also a cultural landscape requiring active management to ensure their continued existence. Cork oaks are only found in SW Europe and NW Africa, with Portugal alone holding one third of the world species distribution. The core area of the Portuguese "montado" is the Alentejo region, the focus of this case study. This area conceptualizes a socio-economic platform (http://www.ltsermontado.pt/), with high ecological and socio-economic relevance. However, this system is under numerous pressures: rural abandonment, tree mortality, depreciation of cork market value, overgrazing and climate change. Our study case provided the first assessment of "montado" ecosystem services and the first economic valuation of the "montado" landscape under different management scenarios at the farm-level. Ecosystem services assessment was presented to managers as an incentive to explore other income sources besides cork and cattle, contributing at the same time to the conservation of the system. Active engagement of stakeholders allowed building of a strong and trusty relation with "montado" land managers. This engagement is expected to allow a better reception of management suggestions to improve the "montado" conservation in the future, and a "montado" community of practice was established enabling future discussions about this system even beyond the project. Moreover, we are further assessing, for the first time, the system's identity and cultural value at the national scale, results being expected to give support to decision-making and to political measures to conserve this landscape. Our research was designed to answer very specific issues related to the "montado" and its multifunctionality. The complexity and uniqueness of this landscape makes the transferability of results difficult. However, the methods used for the participatory workshops, the questionnaires and the economic valuation, on the "montado" ecosystem services are of generic use and can be used for other landscapes and groups of stakeholders. The scenarios here considered can be representative of the grazing pressures that exist in many other systems all over the world. In the same way, the positive scenarios can be transferred to other landscapes as a way of recognizing the increase in ecosystem services delivery by forest improvement management actions. In a landscape that requires active management to ensure their long term persistence it is essential a high involvement of stakeholders and particularly managers. This essential engagement is achieved by meeting several times with the stakeholders and listening to their perceptions of the system. The transition of scientific knowledge to practitioners is time consuming and the ecosystem service concepts can be difficult to understand. In the "montado" exemplar we registered the difficulties of land owners/managers in fully understanding the ecosystem services concept and the limitations in the instruments/tools to be tested at the case study. Nevertheless, this concept proved to be very usefull to show to stakeholders that the "montado" delivers many other ecosystem services besides cork that can coexist with high levels of biodiversity. There are other agro-silvo-pastoral systems, also with high biodiversity levels, that can benefit from lessons learned from this study case.